Though the sample size is small(under 500) the results of this Drupal Association survey are interesting. You have a lot of options when deciding how your site is developed, deployed and hosted. Get all the facts on the benefits and drawbacks of the 3 main hosting options: on-premise, traditional, managed hosting, and in the cloud with a PaaS. Download the Cloud Buyer’s Kit to read more about these options, including the differences in cost and which give you more than just a hosting infrastructure. John Ennew of Deeson Online shares how to make Drush multi threaded. Pretty cool stuff. 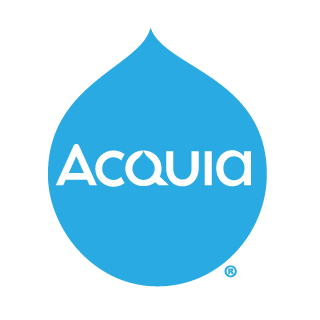 The second installment in the Behavior Driven Development series on Drupal Watchdog. Greg Palmier discusses how Promet Source uses Chef and Vagrant to standardize their development across their company. Though the title is a bit cheesy the article by Thijs Feryn on the Acquia blog is worth reading. As someone who writes PHP everyday hating on PHP gets a bit tiresome. Thijis has included some nice PHP facts and resources. Kim Pepper walks through creating a route dynamically in Drupal 8 on the PreviousNext blog. A nice tutorial from the Stanford Web Services Blog. Web Wash demonstrates how to use Display Suite or Views to control the display of multi-value fields. A nice debugging snippet from Chris Eastwood of Fuse Interactive. I had the pleasure of attending Ron Northcutt’s session at BADCamp this weekend where he talked about this workflow. Many of the things his is doing are things I’ve thought about doing but never have. There’s a lot of great stuff in the Github repo so be sure and check it out. An Angular.js project used by Lullabot for quick prototyping with HTML. Token Insert Entity, Field Formatters, And Entity View Modes Oh Mai! Bryan Ollendyke walks us through using token insert entity, field formatters, and entity view modes to create a very powerful workflow. Work on special projects with great companies through Toptal. Set your weekly/hourly rate, and work from anywhere in the world as an Elite Drupal Developer. See if you have what it takes!